This year has seen a increasing interest from the global banking industry towards adopting blockchain banking systems, as they explore everything from the possibility of implementing blockchain solutions for conducting money transactions to actual test runs of international money transfers among . This is an obvious response from the banking sector, given the increasing research that various dominant blockchains such as Ethereum are dedicatisang to resolving their current scalability concerns. If for instance, Ethereum were to find solutions to the flaws that are currently inherent to their proposed Plasma multi-child-chain solution, they would be able to jump from their current transaction capabilities of 15 transactions-per-second to 1 million transactions-per-second. This would effectively beat VISA’s current 20,000 transactions-per-second capacity, which would certainly do a great deal towards encouraging more adventurous individuals towards switching to the much cheaper, and potentially safer, Ethereum network. Of course security, transparency and anonymity are the three main buzzwords used by most blockchain enthusiasts, in spite of the various hacks, thefts and protocol flaws leading to millions of dollars’ worth of losses for hodlrs. Indeed, once the protocol flaws and scalability concerns inherent in existing blockchain protocols are resolved, it could potentially be the low-fee, borderless fund-transfer solution that individuals are looking for. This would obviously scare the banking sector and governments, as anonymous and therefore untraceable transactions would threaten financial institutions, render it extremely difficult for governments to claim taxes and also aid criminals and syndicates in laundering their illicit funds. All of this would obviously lead to increased economic instability and chaos, which they would most likely prefer to prevent. This is why an increasing number of governments are scrambling to establish and enforce ICO and cryptocurrency legislations, as most hodlrs are very much aware. So, What Are the Latest Updates in the International Banking Industry? Over 12 of the public banks in China have stated that they have adopted blockchains to facilitate various functions. Note that this doesn’t necessarily mean that they are being applied to their customer’s transactions, as it could simply mean that the various documents and user data are being stored on the blockchain. It is also noteworthy that some of these banks include the state-owned Bank of China and the Agriculture Bank of China. 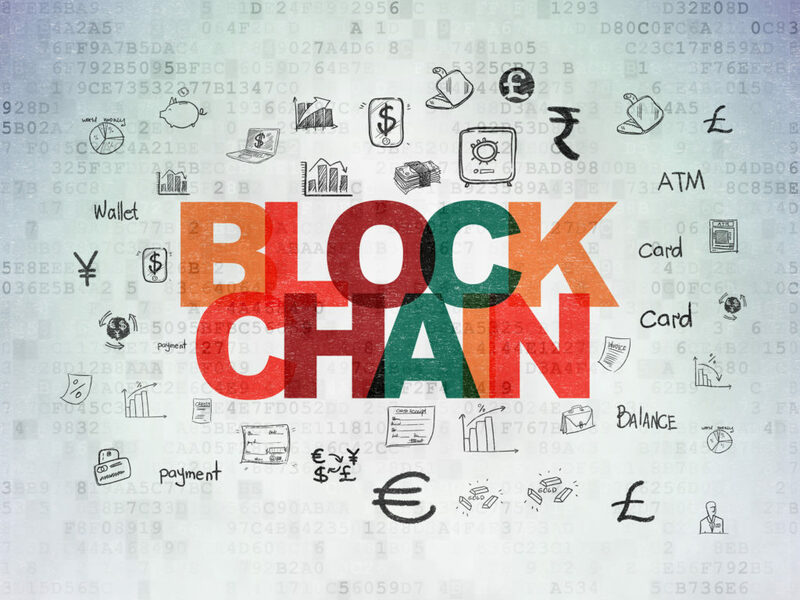 This is a huge step towards the standardization of blockchain banking country’s banking industry and could portend to greater things to come, especially as the greater adoption of blockchain was included in China’s 2016 Five-Year plan. Israel is one of the leading countries for ICO start-ups, which raised over $500 Million USD in 2017 alone. It is therefore unsurprising that the financial sector would also begin exploring the potential benefits of blockchain adoption. So far, Bank Hapoalim is the only one of Israel’s major banks that are exploring integrating blockchain technology into their user-information database. By doing so, they hope to decrease the need for their customers to physically visit their bank branches, thereby saving both the customers and tellers, a great deal of time. It’s no secret that American financial institutions are being very cautious in both the blockchain and cryptocurrency industries. This is due both to the SEC’s ongoing crack-down ICOs and has yet to establish set guidelines for identifying whether ICOs and cryptocurrencies qualify as securities or not, as well as the volatile nature of cryptocurrencies that could result in credit card companies and related institutions losing a great deal when their users by crypto-assets on credit. With that said, not all American banks are entirely steering clear of blockchain technology. Indeed, even though they still see blockchain technology as too unstable and unscalable for mass adoption, the Bank of America has still filed for patents on around 50 blockchain-patents. This is because they recognize that once the technology has developed further, it would be wise for them to prepare ahead for the time when blockchain-technology would be applicable to their needs. Japan’s Mitsubishi UFJ Financial Group (MUFG) has stated that it has partnered with US-based company Akamai to establish a blockchain-based financial-transaction solution that is capable of conducting over a million transactions-per-second by 2020. In light of the information mentioned above, this is a wise decision by the institution, as it would position them as a real competitor with Ethereum, should they discover away to implement Plasma or similar to the Ethereum blockchain. Additionally, over sixty banks have formed a consortium in partnering with Ripple to allow for relatively fast international monetary-transactions. This is significant given that they represent approximately 80% of the Japanese banking industry. The UK branch of Santander Bank has implemented Ripple’s xCurrent protocol to allow for international payments of between £10 – £10,000. There dApp launched in April 2018, and allows for fiat currencies only to be internationally transferred. The Bank of England also hopes to facilitate payments and monetary transfers by integrating Real Time Gross Settlement (RTGS) systems with blockchain technology. This is still in the proposal phase, but should it be actualized, it would allow for large amounts of money to be efficiently, securely and quickly transferred between accounts. A number of Indian banks are currently conducting tests to accommodate blockchain-based monetary transfers.